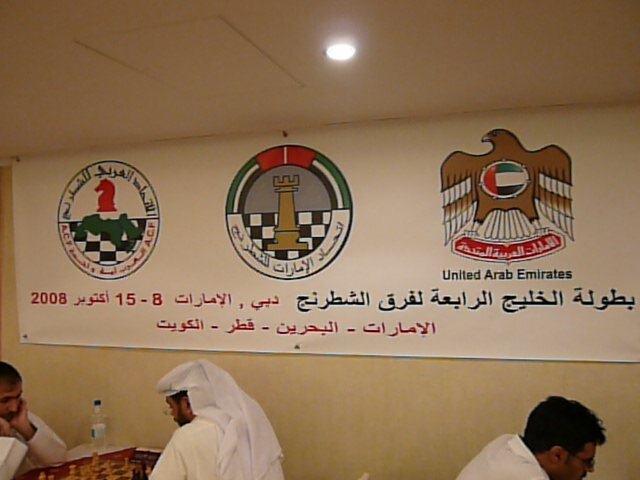 A few weeks ago on the beginning of October, The GCC countries had a team chess tournament. Each team would have 4 players playing while one or two players were kept in reserve. Out of the six possible countries that could participate, only four countries had representatives. Kuwait, Bahrain, UAE, and Qatar were the only countries that participated. Oman and Saudia Arabia did not show up. 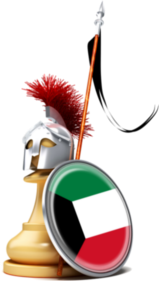 The Tournament took place in Dubai, UAE in the year of 2008 on October 8th – October 15th. 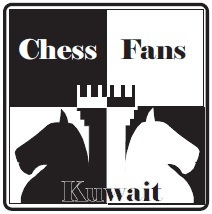 Next year, the team Tournament will be held in Kuwait. A total of 19 players played at different times in this tournament. There was 1 GM, 4 IM’s, 5 FM’s, 1 CM, and 8 untitled players. Kuwait’s representatives; Waleed AlAwadhi (table 1), Mohamed Qabazard (table 2), Faisal AlHamlan (table 3), Bader AlHajeri (table 4), and Abdulsalam AlDakheel being the back-up. Bahrain’s Representatives; Ali AlSulaity (table 1), “FM” Abdulgalil Ayyad (table 2), “FM” Maher Ayyad (table 3), Khalaf Bukhalaf (table 4), and “CM” Ali AlGhasra as the back-up. United Arab Emirites’ representatives; “IM” Saleh Salem (table 1), “FM” Ishaq Saeed (table 2), “IM” Abdullah Hassan (table 3), “FM” Jasem Alhuwar (table 4), and “FM” Yahya Saleh as the back-up. Qatar’s Representatives; “GM” Hamad AlModaihki (table 1), “IM” Mohamed AlSayed (table 2), “IM” AbdulAziz Husein (table 3), and Hamad AlTamimi (table 4). They had no back-up player. The only team to not have lost a single game in any of the boards was The Qatari Team. Not only that, Hamad AlModiahki was the only player to have 6 wins from 6 games total! Congratulations to Hamad a Modiahki and the Qatari Team! There was a total of 24 games played in the tournament and Qatar ended up with 22 points, drawing only 4 games. The UAE ended with 15 points total. 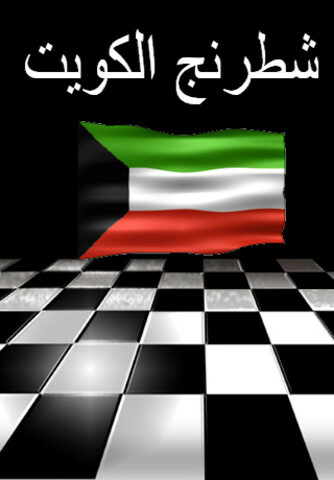 The Bahraini Team had 9.5 points, whilst Kuwait ended up with 1.5 points. Bader AlHajeri: I play really well but my weakness is my opening preparation. I could have won against another opponent but my opening prepartion was bad. Abdulsalam AlDakheel: I had two bad losses. In only one game i actually sat down and concentrated. When I arrived in Dubai, it turned out I didn’t have a room to sleep in. I slept on the floor on the first night. The officials than compensated me by giving me a suite. Also when i first arrived, i was surprised to hear that I was going to play on that day. I was tired and couldn’t concentrate. It was a good experience overall. If you would like to see the complete compilation of the games played in the tournament, please leave your email in the comments and I will send it to you as soon as possible. Thank you. Hello Dennis! Nice to hear from you again 🙂 If you would like to see the games from the tournament, please leave your email-address here in the comments section. Thanks!!! The same goes to everyone else. Dear Visitors, if you would like to see the games, leave your email and i will send them as soon as i can. banned me from what.. ? Well,I must appreciate the efforts of the custodian of this website.His contributions and love for Chess will be remembered for long.Please keep updating us about the President’s Cup tournament which is going on now a days.I WILL BE GRATEFUL IF YOU SEND ME THE GAMES PLAYED IN G.C.C. THANKS. PLEASE SEND ME GAMES PLAYED IN G.C.C. Great review. Could you please send me these games. DO you allow them be published online (non commercial, free access)? Games from 2007 are missing too. Any idea how to get them? Thanks for coming by.. Theres no problem, I can send them to you.. What is your email? No problem 🙂 i will send the game file to the email located under the “contect us” section in olimpbase.org website. I only have the 1st round games..
Khalaf AlAzmi provided us with this. his name not Hamad a Modiahki ? which has been discussed for many years. Great stuff, just excellent! endodontics, periodontics, prosthodontics, dental pharmacology as well as radiography. yourself perfectly eligible to enter degree training program either for associate. and stomach problems can occur. I decided to write this Joana’s 1-60 Horde Leveling Guide review after having a chance to see what the guide can do for those who are into the World of Warcraft. It is raining really hard and your camera is heavy. A decent ball should be able to provide anywhere between 500-5000 hours of play, depending on the terrain (doesn’t sound like much, but do the math and you’ll see most ballers don’t reach 500 hours a year).